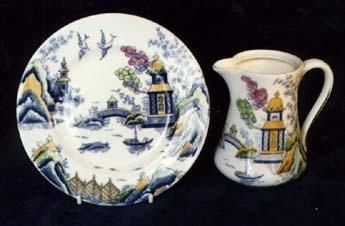 This version from the 1930s or later has a gold rim, with the pattern painted in more muted colours and no border. The backstamp does not include a pattern name. It is not easy to find.